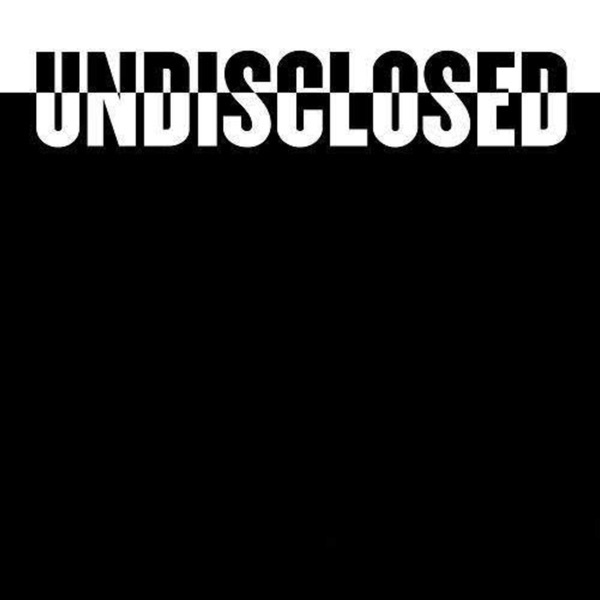 Undisclosed is transformative AND informative. Season 1 was an in-depth look at the intricacies of the law, as it relates to the case of Adnan Syed. It provides a thorough understanding of various aspects of criminal law. Go Team UD! December 19, 2016 / In its 2003 decision denying Joey's appeal, the Supreme Court of Georgia noted that "[Joey's] cell phone records established that he was in the area at the time of the attack" -- a conclusion that was not supported by the evidentiary record. Episode scoring music by Alex Fitch, AnimalWeapon, Blue Dot Sessions, Chris Zabriskie, Julian Sartorius and Uncanny Valleys. #undisclosed #justiceforjoey Photo Credit: Ryan Smith – www.ryansmithstudios.com. View of the Rome Tower from Myrtle Hill. October 13, 2016 / Addendum host Jon Cryer, along with Rabia. Featuring guest panelist W. Kamau Bell and Bob Ruff. Episode scoring music by Patrick Cortes, Ramiro Marquez and Blue Dot Sessions. #undisclosed #UDaddendum #justiceforjoey Disclaimer: This episode of Undisclosed contains audio containing language that may be objectionable to listeners. October 10, 2016 / Investigators thought that there were people out there who had knowledge of Joey's guilt -- and they hoped that a financial incentive might convince them to come forward. Episode scoring music by Alex Fitch, AnimalWeapon, Blue Dot Sessions, Chris Zabriskie, Julian Sartorius and Uncanny Valleys. #undisclosed #justiceforjoey Disclaimer: This episode of Undisclosed contains audio containing language that may be objectionable to listeners. July 11, 2016 / In 2001, Joey Watkins was convicted of the murder of Isaac Dawkins in Rome, Georgia. This season, Undisclosed is taking a closer look at Joey's case. Episode scoring music by Alex Fitch, AnimalWeapon, Blue Dot Sessions, Chris Zabriskie, Julian Sartorius, and Uncanny Valleys. May 16, 2016 / Episode scoring music by Alex Fitch, AnimalWeapon, Blue Dot Sessions, Chris Zabriskie, Julian Sartorius, and Uncanny Valleys Colin interviews Karen Daniel, Clinical Professor of Law and Director of the Center on Wrongful Convictions at Northwestern Pritzker School of Law. May 9, 2016 / Episode scoring music by Alex Fitch, AnimalWeapon, Blue Dot Sessions, Chris Zabriskie, Julian Sartorius, and Uncanny Valleys Colin, Rabia, and Susan discuss the Netflix documentary Making a Murderer, and the convictions of Steven Avery and Brendan Dassey. April 18, 2016 / Colin Miller interviews Bill Rankin, the reporter behind the Atlanta Journal-Constitution's podcast Breakdown. Now in its second season, Breakdown is covering the case of Justin Ross Harris, who is currently being tried for the murder of his 22 month old son. To listen to Breakdown, go to http://breakdown.myajc.com/homepage/. November 2, 2015 / The team reports on Adnan Syed's lawyer, Cristina Gutierrez. They discuss her background, career, and unfortunate illness before her death. Special thanks to Patrick Cortes (AKA Animalweapon) for creating original scoring music for Undisclosed. You can find more music by Patrick on Soundcloud. Additional scoring music by Blue Dot Sessions, Chris Zabriskie, and Julian Sartorius via freemusicarchive.com. May 12, 2015 / The team tracks Jay Wild's movements on Jan 13, 1999, using documentary evidence to sort the truth from the lies. Additional Music - "Konichiwa" by Chequerboard - http://www.chequerboard.com This episode was sponsored by BetterHELP. Get 10% off at www.betterhelp.com/Undisclosed. April 27, 2015 / The team examines what we know about what Hae Min Lee was doing on the day of her disappearance, and what Serial got wrong. Additional music by "Konichiwa" by Chequerboard - http://www.chequerboard.com / http://www.bensound.com/royalty-free-music / Kevin MacLeod (incompetech.com) / Licensed under Creative Commons: By Attribution 3.0 - http://creativecommons.org/licenses/by/3.0/ Amar Nagi @amarnagi This episode was sponsored by BetterHELP. Get 10% off at www.betterhelp.com/Undisclosed. April 13, 2015 / Rabia, Colin and Susan deconstruct the Serial narrative that Adnan couldn't remember what he was doing on the day Hae Min Lee disappeared on January 13, 1999. Additional Music by Qatarsis - https://soundcloud.com/qatarsis This episode was sponsored by BetterHELP. Get 10% off at www.betterhelp.com/Undisclosed.